Medical students at the University of Sunderland can now get a taste of real-life emergencies, thanks to a massive £5m-plus regeneration project of a former office block into a modern facility. 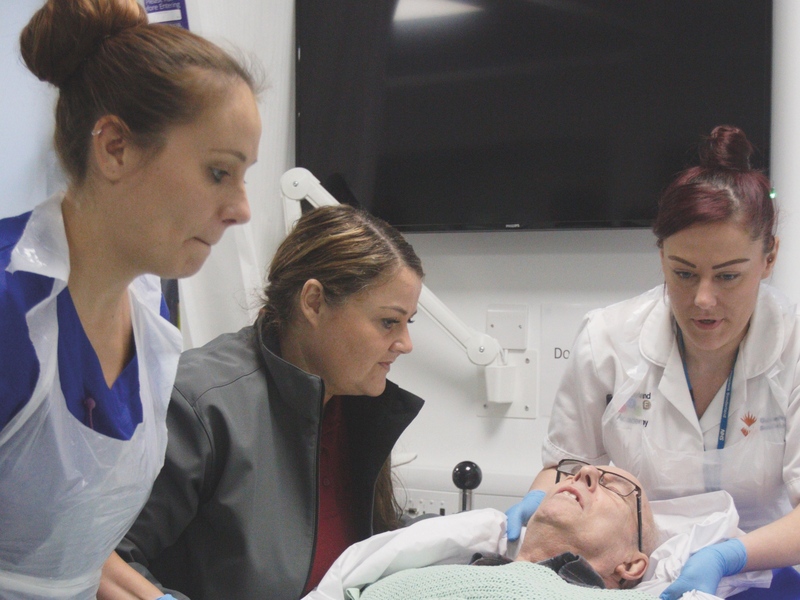 Featuring two mock hospital wards, assessment suites, a mock patient transfer suite, an industry-standard isolation room and more, students can learn in as close to real-life conditions as possible. It even houses a specially equipped, fully working training ambulance. Plus, inside there is a point of care area and multi-functional space with dividing walls and rooms of various sizes for a variety of uses, including objective structured clinical examination (OSCE). The top floor of the building now replicates a mental health ward. Here students will learn how to deliver restorative interventions to those experiencing mental distress and illness, and develop interpersonal therapeutic skills to promote recovery and positive mental wellbeing. The School of Psychology is also housed here. To view the simulation exercise, click here.